I'm pleased to offer a selection of wildlife images to buy and at the same time raise some money for the organisations behind where I visit. As they say, every litle helps! Chester Zoo is a fantastic zoo and a world-leading conservation charity, doing incredible work all over the world. 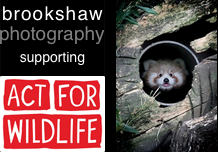 50% of the profits generated from the sale of Brookshaw Photography’s photographs from Chester Zoo will be donated to Act For Wildlife, a conservation charity. Reg No. 306077. I've also created a dedicated Facebook Page for these photos. "To be recognised and respected as being the best breeding centre for endangered big cats in the world." 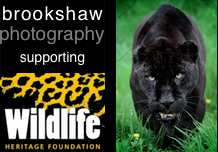 It's a great place to visit and their photography workshops let you get very close to the Big Cats! 50% of any profit from these sales will go to the Foundation's Charity. Reg No. 1104420. These galleries contain a selection of images to buy from other locations.